honesty and integrity in the roofing industry. 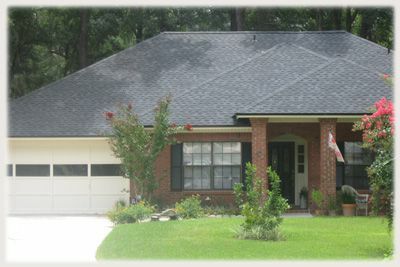 Taylor Made Roofing has built a reputation of honesty and integrity in the roofing industry. We believe we are the best and only choice for expert roofing contractors in the Nassau, Duval, Clay and St. Johns County. Our longevity in this industry and continuous growth is a product of our commitment to our customers and our passion for the business. By putting the relationship above all else, Taylor Made Roofing will always provide the most experienced recommendations with a wide variety of manufacturer specified roofing solutions. The valued relationship will also ensure the smoothest in-progress projects, and, in turn, will always guarantee a strict attention to the details resulting in the longest-lasting roof systems for our clients. Do You Need to Repair your Roof ? "John and I want to thank you for such a great new roof and more than that,we thank you for such incredible service!" "This experience was all that one hopes for. Mr. Taylor himself answered my call and assured me that he would do exactly what he said he would do, unlike the previous company I had contacted. He came out, gave a quote (under the first roofer's bid, I might add) and we accepted. The work was completed two days later exactly as promised. I would highly recommend this company. First class all the way!" "James was very professional and answered all my questions. Was a good choice for my roofing needs. Roof looks great and crew did a great job. Would use them again. Thanks, James, Kyle and crew for a great job." "I was under the gun and needed a new roof put on our home quickly. I had five companies come out for estimates and was most impressed with Taylor Made Roofing and James Taylor. I made the right choice in going with Taylor Made Roofing. The job was done quickly, professionally and for a price I was happy to pay. I cannot recommend highly enough James Taylor and Taylor Made Roofing." "Dear James: Thank you for the excellent job that you and your company did installing our new roof, siding, and windows. We were very impressed with the professionalism displayed by yourself and every person who worked on our home. My wife and I want to commend you for taking on the challenges of our project with an open mind and a willingness to try new materials and methods like the Hardie Board and Batten installation. I felt very comfortable throughout the whole process as you made yourself available any time I had a question. You were willing to listen to my ideas and comments and then offer your advice based on your construction experience. The finished product displays quality craftsmanship and an attention to detail that is a joy to behold. 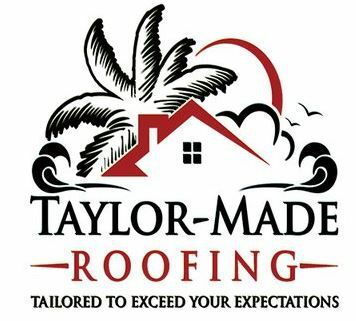 Both my wife and I will enthusiastically recommend Taylor Made Roofing, and we fully expect to be working with you again when the time comes to tackle the next big project on our house." "James, I just wanted to say thank you for your help repairing the roof on our home. The hurricane severely damaged our roof and the quick response by you and your crew ensured we did not sustain further damage. I was very pleased with the process and the workmanship, not to mention the very fair price."